It is not often that a patient is referred to an orofacial therapist, which is why we’ve put together some information for you. An orofacial therapist is a clinical specialist in health problems that are related to dysfunctions and movement limitations of the head, neck, and shoulder region, in general, and of the temporomandibular joint in particular. Until 2006, patients had to be referred by their health insurer to be eligible for orofacial therapy. Now, you can make an appointment without a referral. If you were referred by a specialist, you will have been referred to that specialist by your family doctor or dentist. Orofacial disorders generally concern complaints that a specialist cannot explain and for which irreversible forms of treatment, such as surgery, do not provide a solution. The specialist will have referred you to me because he or she is familiar with my treatment methods and expect that I can help you. You can see me as a specialized physical therapist and manual therapist. Years of training and education qualify me to treat structural problems of the head, neck and shoulder region, including the temporomandibular joints and masseters. 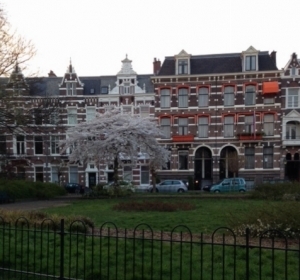 I have been running my own practice in The Hague for more than twenty years and have been associated with the dental surgery in Rijswijk since its establishment. Here, I collaborate with dentists, one of which is a gnathologist and specialized in problems relating to temporomandibular joints and masseters. The complaints are usually caused by musculoskeletal disorders in the upper half of the body. These disorders can be caused by muscles, tendons, ligaments, bones, discs or nerves, and are usually associated with posture and movement. The complaints are mechanical in nature and result in movement limitations and pain. The most common complaints are neck pain, headaches, facial pain, jaw pain, earaches, buzzing in the ears, toothaches, pain in the arms, shoulders, elbows and hands, and chronic pain. These complaints are affected by factors such as cold, warmth, the weather, stress, emotions, strain, fatigue, and sicknesses such as the flu. You need a specialized treatment that general physical therapists do not offer because they have not been trained to treat such complex problems. A new angle in the treatment of musculoskeletal pain is the deactivation of trigger points. Pain is frequently experienced in an area other than the actual site of the pain. For example, an earache (something an ear, nose and throat specialist does not recognize as a dysfunction of the ear) or a toothache (something a dentist cannot always associate with a dental problem) may be caused by a muscle that is in an entirely different area. Orofacial therapy quickly reduces pain—even that caused by deep muscles—and improves movement. Headaches, neck and back pain, earaches and buzzing, computer-related pain in the arms, pain in the legs and in the jaws can be successfully treated. Dry needling is an innovative treatment method that consists of deactivating trigger points and manipulating them with the hands. In the US and Canada, among other countries, extensive experience has been made with dry needling. I have been trained and educated in this treatment method am qualified to apply it. Dry needling is based on scientific research and delivers immediate measurable results. I regularly follow refresher courses to ensure that I am aware of the latest developments and can contribute to the further development of this treatment method.